House plants complement our living space, but pet owners must be cautious when choosing their apartment “greenery“. There is a wide variety of house plants, out of which only a small number is not toxic to dogs. 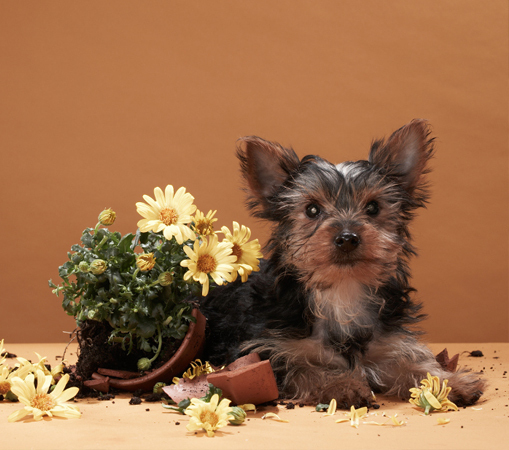 Even potpourri, which is an amazing living room decoration, can be dangerous for our dogs. They love exploring their surroundings, and they often nibble on house plants out of boredom when they are home alone. Certain plants cause only some kind of a temporary discomfort, most commonly vomiting or diarrhoea, while others may even be deadly. The three biggest flower enemies are caladium, philodendron and dieffenbachia. Namely, their leaves contain crystals that will stick into the mucous membrane of the tongue or the mouth like a needle, which then leads to muzzle and tongue swelling and a sharp pain. Among others, the comprehensive list of plants toxic to dogs includes some popular house plants such as begonias, cyclamen, amaryllis, ficus and fern. We would especially like to point out lilies: all kinds of lilies (which are especially bought and given as a gift for some holidays) are extremely toxic and could cause acute kidney failure which, unfortunately, proves to be fatal in most cases. 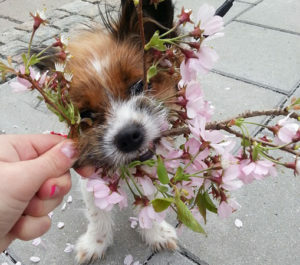 What to do when a dog eats a toxic plant? Vomiting and diarrhoea are the first symptoms of house plant poisoning. Other than these symptoms, the consequences could be much more severe, even deadly. 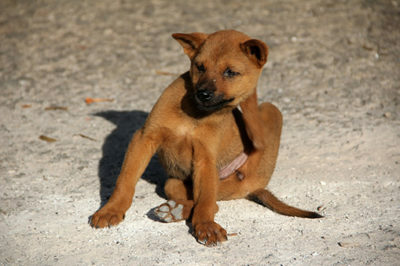 The dog can be noticed to drool a lot, has narrow pupils, tics, and its teeth chatter. It can also be sensitive to light and loud noises, and oversensitive to touch. If you even suspect your dog has eaten a toxic plant, take it to the vet immediately. 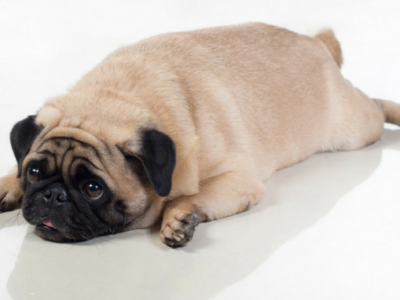 If house plant poisoning does occur, it’s better if the owners know which plant the dog has eaten, as that will greatly help the vet react efficiently and solve the problem. Bear in mind that induced vomiting is NOT a good idea! 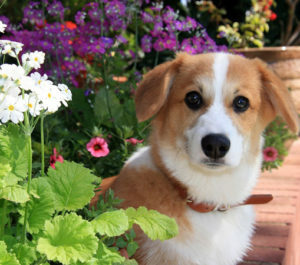 The prevention process is clear – keep the plants away from the dog. Grow plants in fenced parts of your garden or in hanging pots that are too high for the dog to reach. 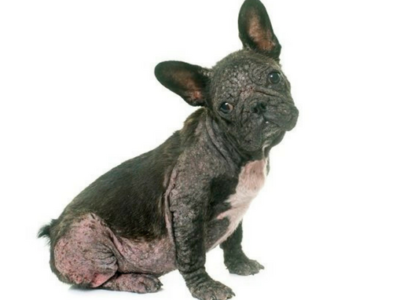 Apart from nibbling on plants, pets can get poisoned by water building up in pot trays, too. This may happen if you use plant fertilisers even if the plant itself isn’t toxic. Therefore, be sure to have appropriate trays that are deep enough, so your pet doesn’t have access to the water at the bottom. Plants that can’t harm your pet in any way and are considered medicinal are: basil, thyme, hops and valerian, so you should consider them when buying new apartment decoration!